What is a Manhattan Condop ? A condop is a residential building or portion that includes cooperative and condominium ownership structure. The condominium has a residential cooperative unit separate from the commercial unit and or garage unit. During the late 1980's several new developments were built as "condops" they were "hybrids" because the developer had an underlying mortgage on the residential portion of the project. The residential unit is legally a cooperative. Owners are shareholders in a corporation. A condo can not have an underlying mortgage. 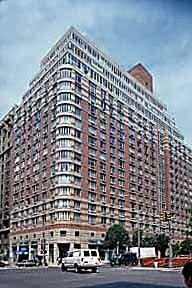 I was an original owner/shareholder in one of the first luxury condops constructed on Broadway on the upper west side. I often get calls from other brokers about The Boulevard since I'm a resident broker that sells there. Many agents think a condop is a coop with condo rules. In many condop buildings that is true but the rules have nothing to do with what makes the building a condop. Prior to the Bush tax cuts coops were only allowed to receive 20% income/revenue from non maintenance. The retail/commercial revenue could only be 20% of the building's income. Some developments and conversions may have been structured as condops for tax purposes. The 80/20% IRS rule no longer applies to coops but today there are still new condops. In new construction, in the offering plan, if the developer/sponsor leaves the purchasers/ shareholders/owners with an underlying mortgage the building is usually a condop. The underlying mortgage is included in the maintenance allocated proportionally to each apartment sold as shares. New construction condops include The Azure and 1 Carnegie Hill on the Upper East Side and 305 West 16th street, a brand new luxury designer condop building in Chelsea and there is a new condop in Harlem. Many condops have right of 1st refusal, they are investor friendly and have the same unlimited sublet policy and amenities usually found in condos. A condop can offer the best of both worlds. It can offer rules and amenities of a condo, tax deduction, lower closing costs (no NY state mortgage recording tax) like a coop because a coop is not considered "real property" it is considered "personal property." Condops are usually valued in between a coop and a condo. There is an advantage to buying a condop if you can find one in the neighborhood and price range you require. Contact me to purchase or sell in The Boulevard, The Savannah or any other Manhattan condop, coop, condo or new development. Mitchell, I learned something new today and now whenever a buyer from NYC comes to our area, I will understand what a condop is. Condops definitely sound like the best of both worlds and offer developers a way to build new construction which would appeal to many buyers, since they don't have to do any renovations themseles. Thanks for sharing that information. I have never heard of this before and to my knowledge we do not have anything like this. Call it the old appraiser in me, Mitchell .. but I love these informative appraisal-like blogs. Most readers will truly be educated by them, as the differences in property are not commonly known. A big thumbs-up! I have not heard of them either! Condos & coops I know about....not a condop. Do you think it is a uniquely NYC thing? Very interesting.....I'd always heard that financing on a Coop was tricky, and here's another wrinkle to deal with. Thanks for the info. As I read that, I can tell you took the time to try to use small words to explain things very clearly, but it still doesn't make sense to me. The people who own the condos get a share of the retail below them? Thanks, Mitchell. I'd not heard of a Condop previously. Thanks for sharing. Hi Mitchell, have never heard of this concept and not sure I understand it. What would the advantage be to an owner of this type of property ? Never heard of it, but nice to know. These can only exist in a place like NY. I have never seen or heard of one here in Miami. Good information. I think this is unique to the Big Apple. Thanks for all the comments and the feature. I'm out on an appointment. I'll be back in a bit and answer all your comments. Hannah, In Manhattan there are primarily 3 types of apartment buildings. Condos, Coops and Rentals and a 4th hybrid "condop" a combination condo/coop). In a condominium new development or conversion, the developer/sponsor can keep the retail space or sell it as a condo to an investor or retailer but they pay common charges to condominium. In a coop, the coop owns the retail space and the rent collected is income to the coop. Some coops have very low maintenance and huge reserves from the retail income. In a rental building the landlord owns the whole building including the retail space. In a condop the commercial part of the building is totally separate from the residential portion (coop) The whole building is a condominium hence condop. Sharon, I think condops do offer the best of coops and condos. The flexibility of a condo (investor friendly, unlimited subletting policy and the tax advantage and lower price point and closing costs of a coop. The underlying mortgage can benefit a developer. Betty, Thanks, condops may be unique to NYC and even Manhattan. Gene, Thanks, there is an advanage for many types of buyers, from first-time buyers to investors to purchase a condop. As an "old appraiser" you will appreciate they are valued between a coop and a condo. Ann, You're welcome, thanks for your comment. Christine, Condops probably are unique to NYC although I know some of the developers have built buildings in other cities. 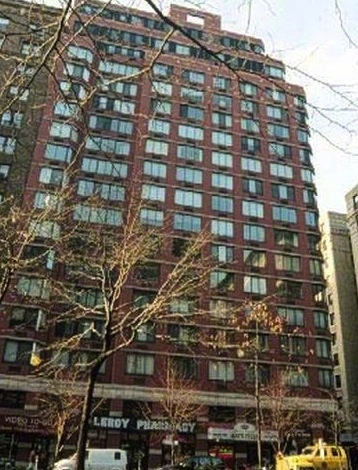 Premier Mortgage, In Manhattan obtaining financing for a coop is just as easy as obtaining financing for a condo. It is a coop loan not a mortgage because coops are not considered "real property" The major lenders all loan in coops here. New regulations regarding building reserves, and % of owner occupancy etc. have made it harder to finance either. Donna, Actually just the opposite, the people who live in a condop only have shares in the residential portion of the building which is a coop. The retail space was sold separately and the residents do not share any revenue. The retail or commercial space does not affect the finances of the residential portion of the building because it is run as a separate corporation from the condominium. Bruce, You're welcome thanks for your comment. Bill, The advantage would be flexibility, investor friendly, like condo, price, tax deduction, low closing costs without all the rules and restrictions usually associated with a coop. Morris, That may be true. All new buildings or conversions in NY must be approved by the Attorney General's office before the offering plan can be declared effective. There is much less speculation and building on spec in NY than Miami. Gregory, Thanks condops are probably unique to NYC. Mitchell - This comes under the category of you learn something new every day for me. I hadn't even heard the term. Thank you. Mitchel, great post. There are a lot of condops out there and most consumers are well as agents really don't know what they are. This is a new term and concept to me, as well. Interesting Mitchell, never heard of this before. It started after I left NY and I haven't heard of this anywhere else. Hi Mitchell, did you make up that word? ;) Interesting word and concept. Do you know if it only exists in NY?